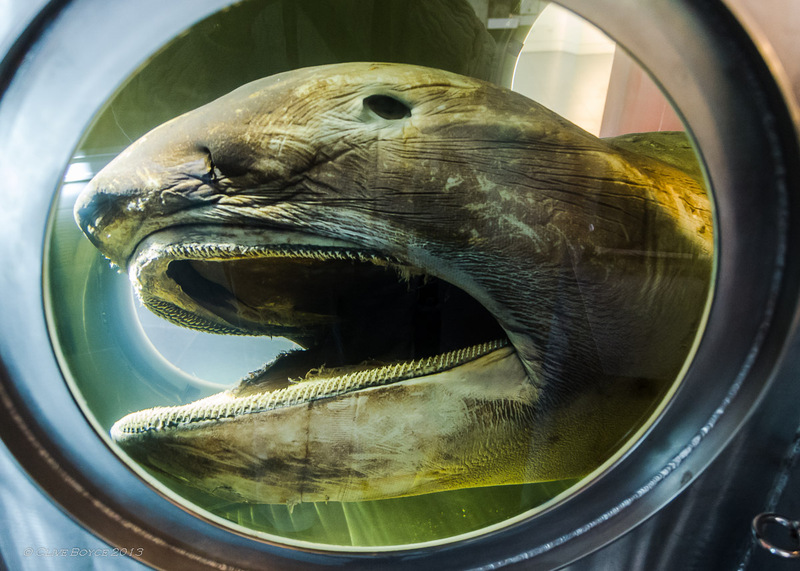 You are looking at a Megamouth shark, Megachasma pelagios, one of rarest sharks in the world. The first specimen was discovered in 1976 and the one I photographed above was only the third specimen discovered. Even today, only 55 examples of this shark have been found. 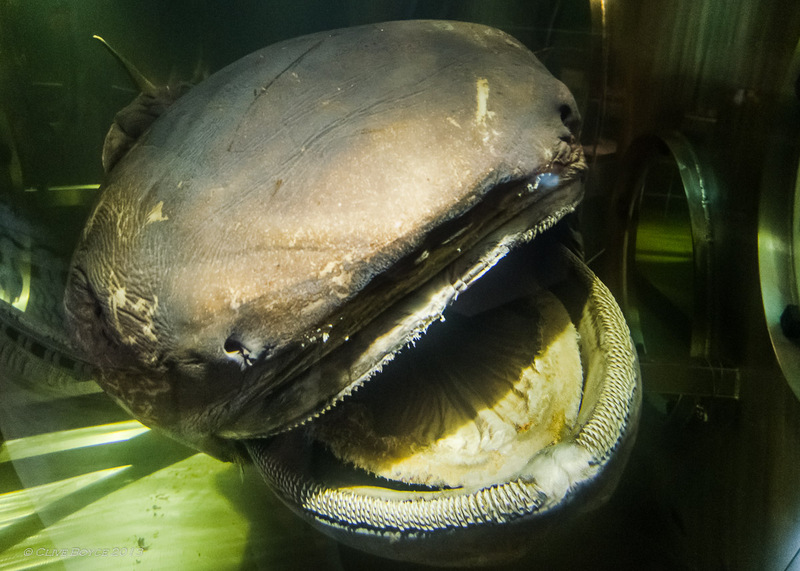 Megamouth is the third known species of shark that is a plankton feeder. The other two are the whale shark found in tropical waters and the basking shark that readers around the North Atlantic would be familiar with. Not a lot is known about megamouths , but it is believed that they live near the edge of continental shelves. During daylight, they swimming slowly at depths of 150 m or more on the edge of the twilight zone where little light penetrates. At night, megamouths rises towards to the surface to feed. The specimen I photographed was found washed ashore in Western Australia at Mandurah, south of Perth, in 1988. Today, it can be found in the Maritime Museum at Fremantle, the port suburb of Perth, in a large stainless steel tank. One reader correctly identified my photos as being a megamouth shark. Wordpress blogger Kevan is a Canadian aircraft enthusiast who’s been living in the Czech Republic for the last decade. And obviously has an interest in marine biology as well. He publishes the Pickled Wings blog and if you have an interest in historic aircraft, there’s plenty to look at over at Pickled Wings. In particular, Kevan has extensively documented aircraft from the former Eastern Bloc. And I also happen to have a couple of photos of the Mandurah coastline in my The Sun Sets in the West post. Huh, that’s so interesting. And rare.